The microscope rotates cardanically around its centre of gravity, thus providing optimal movement with minimal force in all directions. 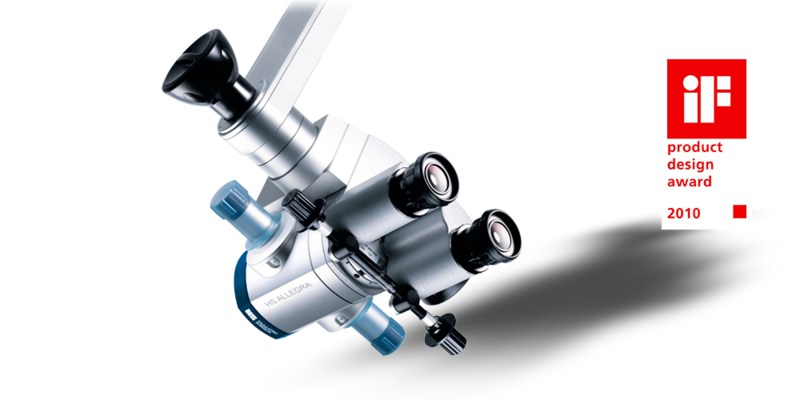 High-quality optics with large aperture result in an exceptionally bright image for the surgeon. For magnification, a 5 step changer is integrated.